Hi EPeeps!! I got a little whimsical with this project!! 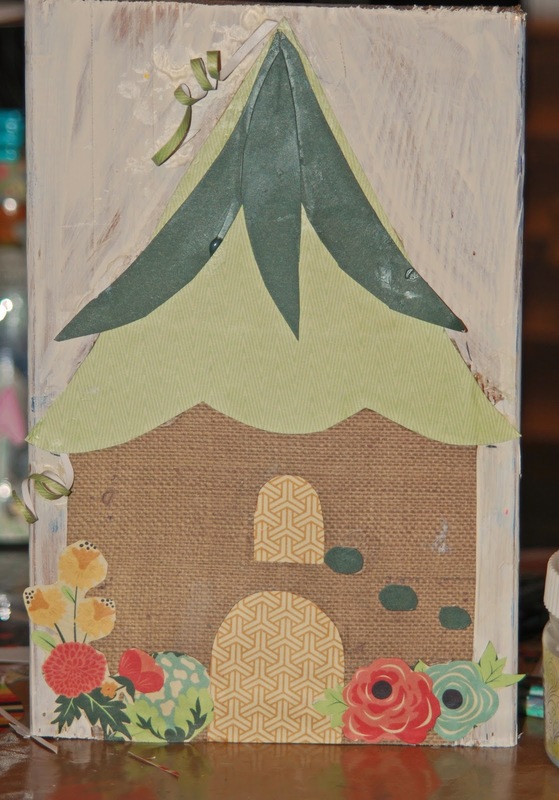 I dug into my collection of wood blocks and drew a little fairy house! Then I took out my new Fancy Pants Burlap and Bouquets collection and started cutting!! I glued down all the paper pieces using gel medium! 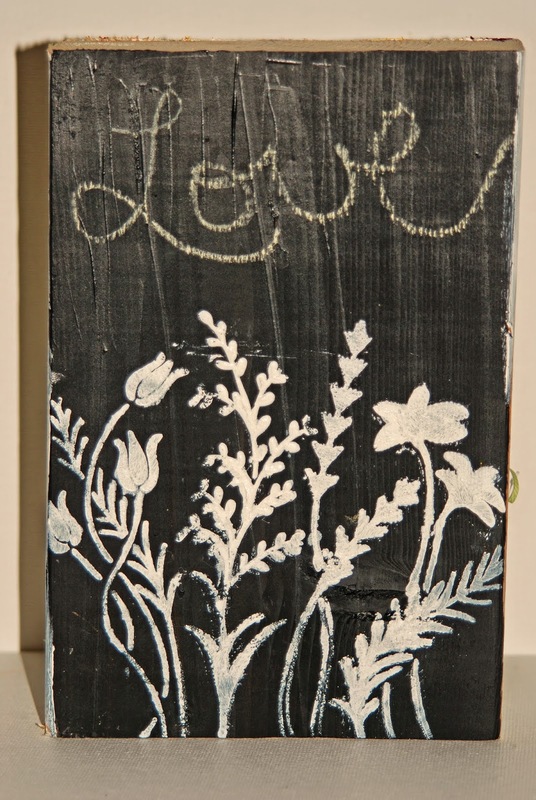 I used a Rhonda Palazzari stencil by Crafter's Workshop and stenciled in some little branches. And as always, I am totally inspired by Junelle Jacobsen's style, which is totally reflected here on my block! In fact, I am headed to her class in Charlotte N.C. next weekend!! I can't wait! I went in the spring too, so I am feeling a little spoiled! And I wondered what to do with back of the block, so I painted chalkboard paint on the back so that I could write messages on it!! However, I ended up using white paint through the stencil and leaving just a small spot at the top for chalk messages! I just loved the way the white paint jumped off the black chalk paint!! Doodles and paint finished off the front of the block! I am just in love with this little house!! 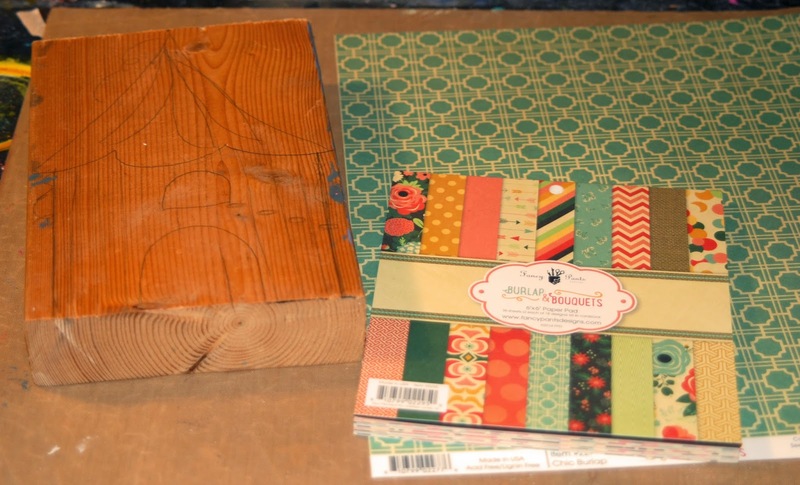 I love this Fancy Pants paper - it is definitely a new favorite! I hope you find something that inspires you this weekend and you have some time to create a little piece of art!! Have FUN at your class! This house has so many FAB details! LOVE it, Karen! Ohh I love it. 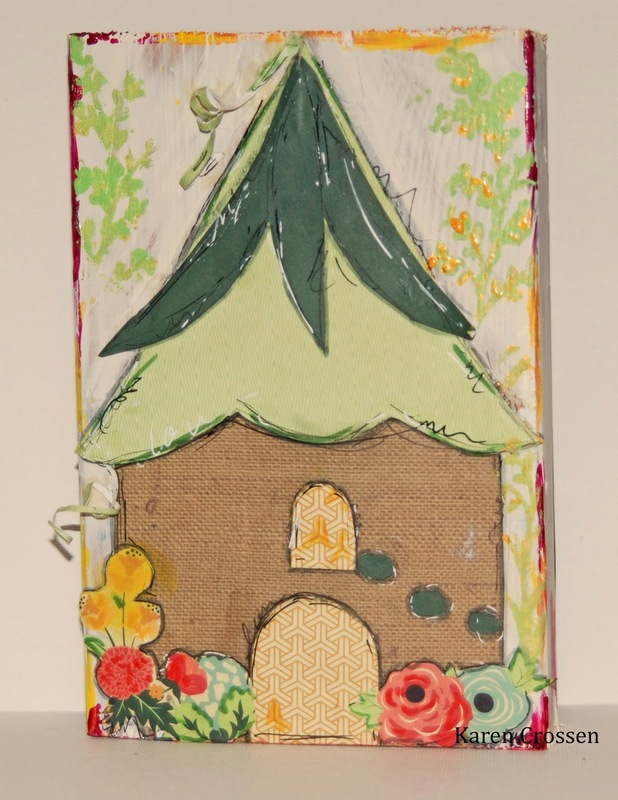 Love to alter wood and incorporate mixed media. Adorable and I've taken almost every single Junelle online class. I am so hoping one day to take a live class. Have fun!!!!!! 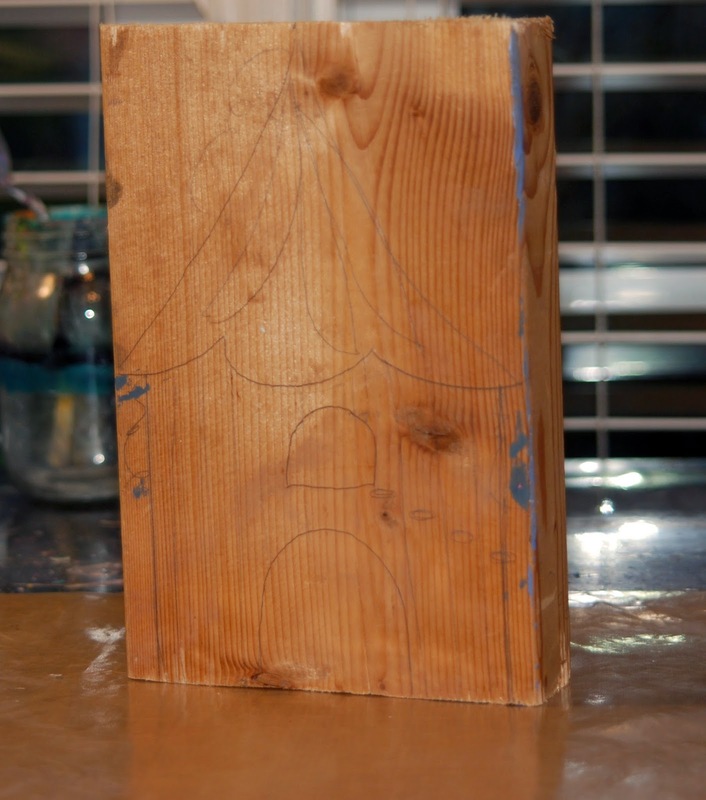 What a fun wood project Karen! 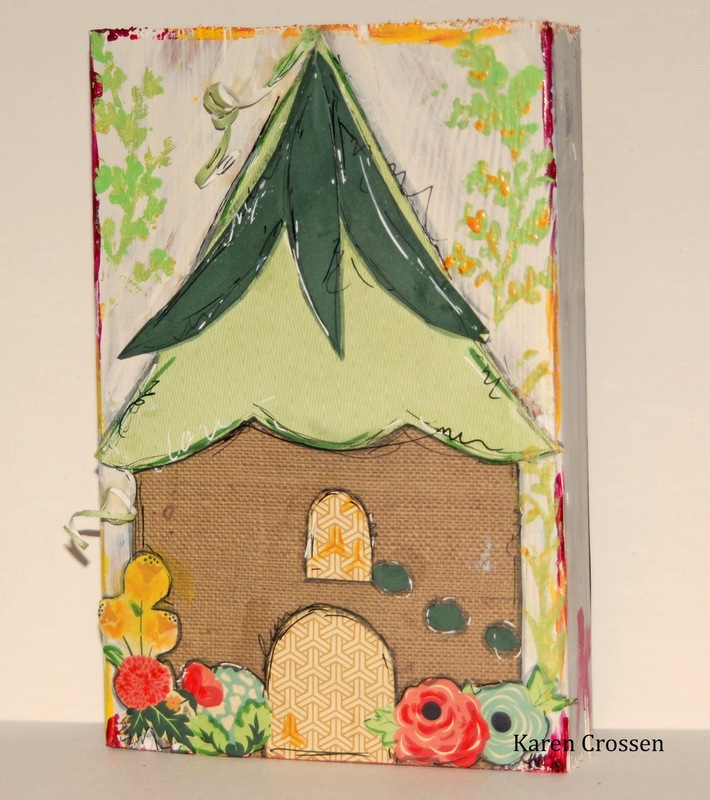 love your little woodland house! the back looks great too! Fun wood project. Love all the details.